Nylsvley Nature Reserve grows on you. I can testify this from personal experience. After unpacking our stuff in the camp site and completing our first “recce” drive through a part of the reserve, I was already starting to look forward to our next wetland. 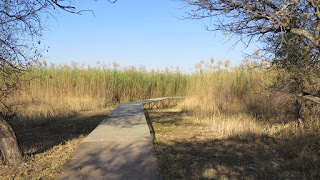 But over the next few hours, after seeing the reserve from more angles and gaining a better insight, I was slowly changing my attitude and was more and more impressed with what we experienced. The Nyl Floodplain is one of South Africa’s largest, and least impacted floodplain systems, 70 km in length, 7 km at widest and, when wholly inundated, about 16 000 ha in extent. It is located in South Africa’s Limpopo Province and forms the headwaters of the Mogkalakwena River, one of the Limpopo River’s larger tributaries. The floodplain stretches from south-west to north-east across the western edge of the Springbok Flats, lying alongside the eastern foothills of the Waterberg plateau - this plateau is the source-area for the floodplain’s water. There are about a dozen streams and rivers that bring water from the Waterberg onto the floodplain; the largest of these are the Klein Nyl, the Groot Nyl and the Olifantsspruit. 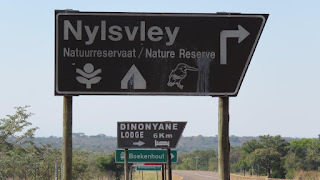 Nylsvley Nature Reserve, owned and managed by the Limpopo Provincial government, covers an area of 3,975 ha. It straddles the floodplain and provides statuary protection for about 700 ha of the wetland due to its status as wetland of International Importance (Ramsar), received on 7 July 1998. The remainder of the 16,000ha floodplain and all of its catchment in the adjacent hills is on privately-owned farmland. 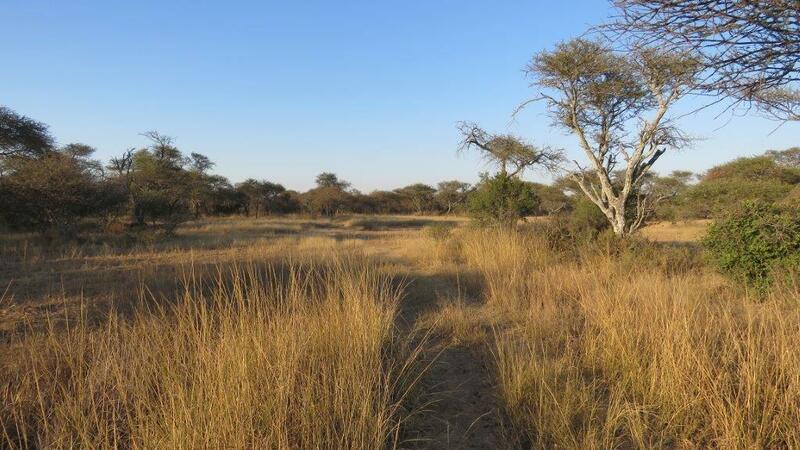 The areas fringing the floodplain in the Reserve consist of a mosaic of Acacia savanna and broad-leaved woodlands. On the north-western side of the reserve one gets a real bushveld feeling with all the Acacia and Sheperd Trees. Nylsvley Nature Reserve is one of the top birding spots in Southern Africa, with more than 400 species recorded. It is also recognized as one of Birdlife SA’s Important Birding Areas (IBA SA008). The floodplain occasionally erupts with activity, holding up to 80,000 birds in years of high rainfall. Nylsvley is particularly important for attracting large numbers of rare and locally threatened waterbirds. In particularly wet seasons, Dwarf Bittern, Little Bittern , Allen's Gallinule and Lesser Moorhen are common. Most of the birds are migratory. 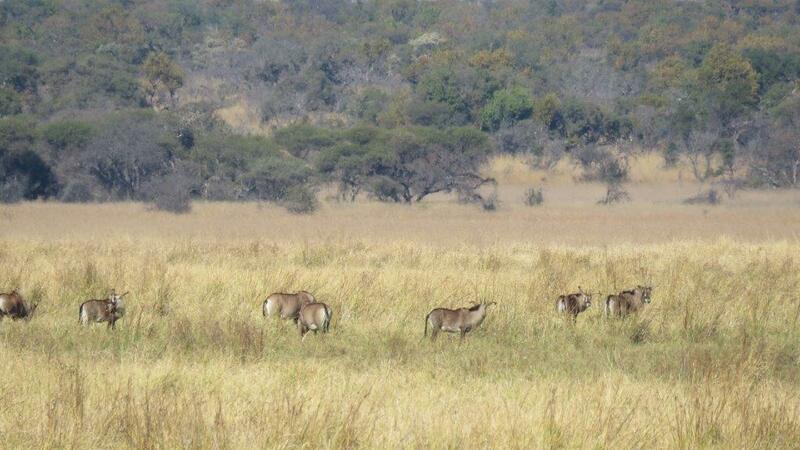 The reserve has a mammal list of 77 species which includes a very successful Roan antelope breeding herd. We saw Waterbuck, Giraffes, Blue Wildebeest, Roan, Kudu, Waterbuck, Reedbuck, Bushbuck, Impala, Warthog, Zebra and Tsessebe. Amphibians are well represented with 19 frog species, including the Giant Bullfrog. No Crocodiles or Hippos are present on the reserve which adds to its safety. Fish, dragon flies and Butterflies make up the feast of life during wet summer months. The reserve hosts 600 plant species, including wild rice. 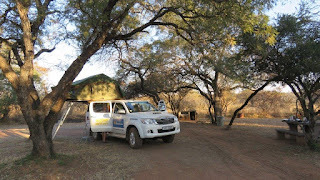 We visited Nylsvley Nature Reserve near the Limpopo town of Modimolle during the end of May 2015. Two weeks earlier, there was an accidental spillage of sulfuric acid in the upper parts of the Nyl River flood plains, about 16 kilometers upstream of the reserve. The authorities and park management were tense about the potential consequences to the reserve, and our visit was definitely not their first priority at the time. The reserve was very dry with very little visible water in the wetlands. All of the bird hides except one (Dabchick) were burnt down during a fire in September 2013. No resources or funds have been allocated by the provincial government to restore these hides. 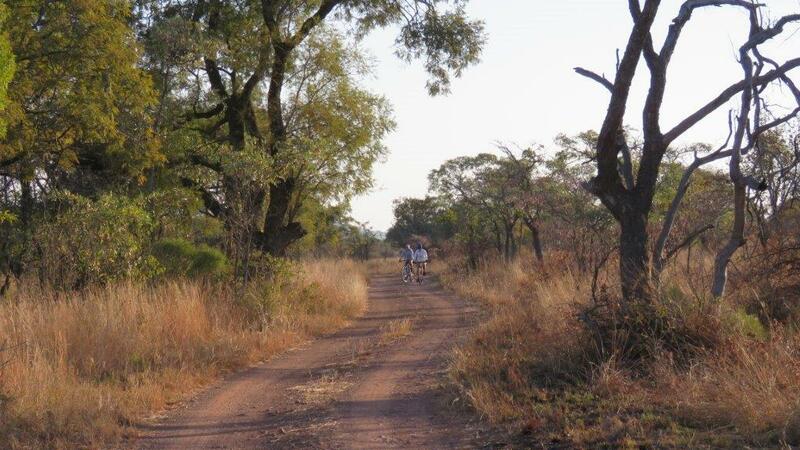 Vogelfontein on the northern side of the reserve can be reached via gravel roads outside the reserve. A simple combination lock grants visitors access. This is one of the best view points for game as well as waterbirds. The Dabchick bird hide offers excellent views of the floodplains. Herds of Roan antelope can also be seen from here. 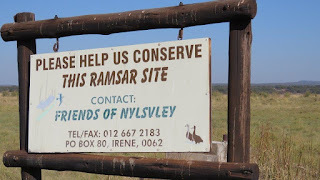 Friends of Nylsvley is a non-governmental, private organization that care for the reserve. It is clear that most of the activities happening at the reserve can be credited to Friends of Nylsvley. We phoned Marion Mengell, the driving force behind the Friends, from the reserve. She was on her way for a winter break to the UK, but spent an enthusiastic 20 minutes or so on the phone giving us all the information we could absorb. The good management of Nylsvley Nature Reserve and the long term security of water supplies for the Nyl floodplain are the Friends primary concern. Since March 1991, the Friends were responsible for the Dragonfly and Jacana walkways, the Dabchick and Kingfisher hides, the Bittern Bridge, the rehabilitation long drop toilets in the campsite and the enviro loo at Vogelfontein. They have eradicated alien plants, maintained the watering points and developed the Nyl walking trail. When provincial funding was limited, the Friends provided basics such as diesel, repairs to cold rooms and equipment, supplied patrol bicycles, uniforms and boots. It was partly due to the Friends persistence that the reserve was declared a Ramsar site in 1997. 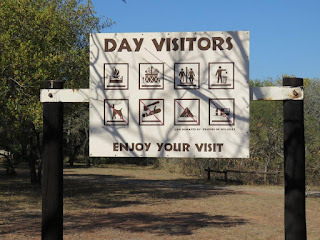 Apart from excellent bird watching, activities inside the reserve include hiking, cycling, and self-drive game viewing. Roads inside the reserve are very good gravel roads which are suitable for all types of vehicles. Sections of the reserve, mostly on the eastern side, are not accessible for visitors. 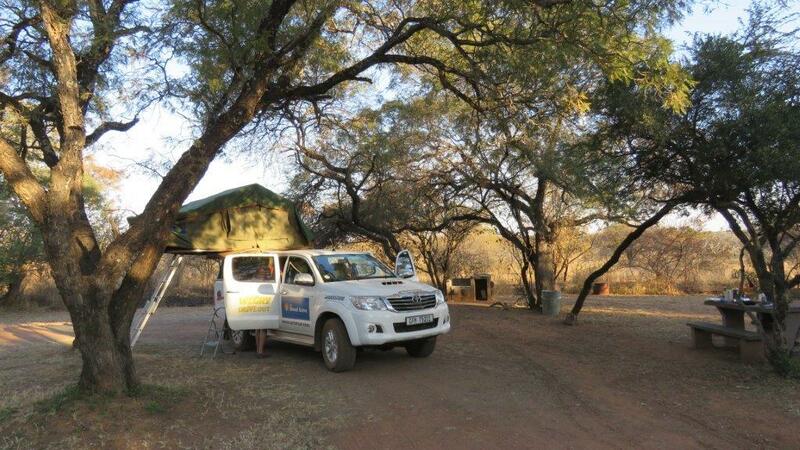 The camp site is large with 6 spacious stands underneath thorn trees providing ample shade. There is no electricity available, but each stand boasts a built braai facility and water tap providing cold water. The 2 ablution facilities for men and women are small with 1 cold-water shower, 1 toilet and 1 wash basin each. There is also a picnic area set aside for day visitors with braai facilities and cold water ablution block. Between the entrance gate and the reserve’s gate are a restaurant, 3 self-catering chalets (one which is described as a VIP Presidential Suite), and a group dormitory. All these facilities are well kept and in immaculate condition. It also provides the facilities for all the regular nature courses that are presented here by Friends of Nylsvley. Like many of South Africa’s wetlands, Nylsvley Nature Reserve is also under threat from potential mining operations. Once again, I trust that the government will take a long term view, and if they don’t, I know that Friends of Nylsvley will give them a hard time to reconsider. We met Brian and Caroline Frank from a neighboring farm, Sandfields & Forest, who were cycling through the reserve. “One of the best kept secrets”, assures Brian me when I asked him about the cycling trails.